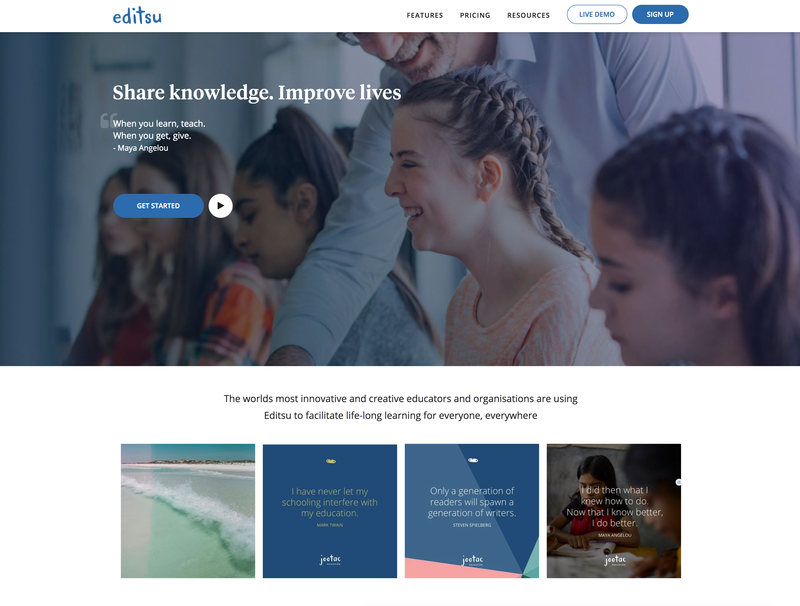 Our sister brand BuddyBoss has been helping our client build an E-learning platform that allows individuals and organizations to launch their own online school. The platform is built on a WordPress Multisite setup, and uses the popular Social Learner Theme. Our client was excited to hear that we could provide him with a mobile app that works in sync with his platform. We have delivered a high quality native iOS and Android mobile app that is synchronized with the multisite platform. A key feature Editsu’s mobile app is that, when users login, the app automatically detects which subsite they are a member of, or if they’re a member of multiple subsites (or schools). The App then loads the content of that schools and allows them to switch between schools if they are members of more than one school. Editsu is an E-learning platform with a purpose of making education accessible to populations in developing countries and remote areas. The platform allows anyone to create an online school at zero or very little cost. Instructors can use the platform to teach students everywhere in the world. The online schools come with courses, quizzes, discussion forums, student profiles, gamification, certificates and more. Editsu’s goal is to be Earth’s favourite place to teach and learn. We are educators not technologists. AppBoss and its sister company BuddyBoss have been the perfect technology partners for us. From day 1 they took the time to really understand our goals and aspirations. Others focussed on the technology and the jargon and just created confusion. The Boss team focussed on our outcomes and aspirations and the best way to use technology to achieve those – their partnership approach and effort to build trust with us was a refreshing change. It became very clear to us very early in the process that they shared our passion for creating the best possible learning experience for the end user and guided us every step of the way to ensure we made good decisions – their advice saved us tons of time and money and avoided pitfalls along the way. Most importantly they deliver on what they promise and only promise what they can deliver. What the team have created for us will mean millions of underserved children around the world will get the opportunity to learn and in turn help to create a better world. Even though we were located on the other side of the planet their constant and fluid communication made the experience feel like we were all in the same office- we really think of them as an extention of our team – they care about our mission as much as we do and their enthusiasm shows in the work they do and their attention to every line of code and every pixel in our apps. – Founder, CEO – Raqech M.
Since the purpose of the platform is to make education more accessible in developing countries, having a mobile application was a must. Today, the majority of the population in developing countries owns a smartphone, but not everyone owns a computer. A mobile app, and particularly the Android app is a key factor for the platform to accomplish its mission. The platform is built on a multi-site WordPress installation with an advanced AWS setup done by BuddyBoss. The app needed to work seamlessly with the multi-site setup. Since the instructors are able to add their own branding to their school (or subsite) on the web platform, the client needed a way for their instructors to retain the branding in the mobile app. The client needed a way for their instructors to have the ability to translate their app in other languages, from the web interface. They also needed a way for instructors to configure the mobile app navigation and reorganize their app’s homepage, from their web dashboard. We have used our six step process to go from the initial on-boarding call to the live iOS and Android Apps, while ensuring a smooth experience for our client. Our design team helped create a custom learnerApp rebranding, App icon and launch screen. The team also helped put together the screenshots and feature graphic for the app stores. Our QA team tested the app thoroughly with the multisite setup, to ensure a smooth experience for the platform’s users. Our team continues to maintain the Editsu App and make new feature and compatibility updates. Our development team worked on configuring the website together with the app and implementing the new designs. There were a number of challenges related to the multi-site setup and to the specific client’s needs. When a user logs into the app, we are detecting which subsite they are a member of. Using this information, we pull the courses and other data from that subsite. To allow teachers to retain their branding on the app, we have built a branding options screen on the client’s backend to allow them to customize the look and feel of their school’s app. When a user logs in, we pull information about the school’s branding, depending on which school they are a member of. Teachers can translate their app from their dashboard. The translation information is also being loaded when the user logs in. Teachers have access to an area where they can customize their school app’s navigation and home page. This information is also loaded, when the user logs in.